Nothing can compare with experience and we at fragbox corals have been shipping saltwater corals across Canada for the past 8 years ! Ordering corals online has become more and more popular over the years. When we shipped our first coral order however in 2010, frankly we had no idea what the hell we were doing. We knew that Styrofoam was important in shipping corals as we had received an order from an online vendor who used it. There was limited google information available at the time and shipping and ordering corals online was still taboo. We were using homemade styrofoam containers with home made heat packs. Needless to say it wasn’t pretty and the corals did not fair well. Fast forward 8 years, with nearly 5,000 orders and literally hundreds of thousands of corals shipped across Canada, we have nearly perfected our coral shipping methods. You can order with confidence knowing that we are expert coral packers. Our employees are trained to handle each specific piece and species differently. 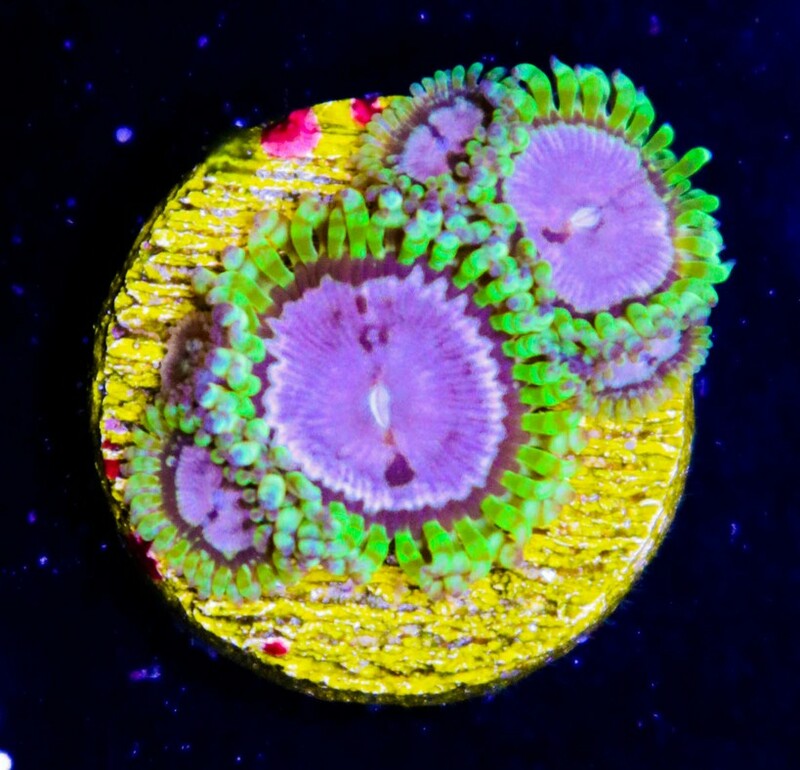 We only sell one thing at frabgox and its this intense focus on shipping corals that has helped us master our area of specialty. Years and years of experimenting with techniques has taught us how to ship corals with a less than 2% DOA rate. We guarantee all of your corals will arrive alive. Period. 100,000 corals shipped across Canada means that we are confident we can get you corals safely. You can order with us and you wont have to worry. We care about the corals and we care about you. If you are worried about corals being in the box too long consider this: When we order corals from over seas, they often take 48-72 hours to arrive at our store. The vast majority of corals we import arrive well. When we ship in Canada to your door , an order is usually delivered in 12-14 hours from leaving our store and shipped in a far superior manner. Many of corals are sustainably grown here in Canada ! 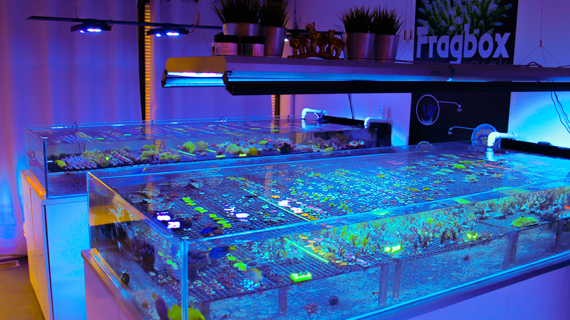 We also grow many of our corals here at Fragbox and almost all the fish we sell at fragbox are sustainable fish. 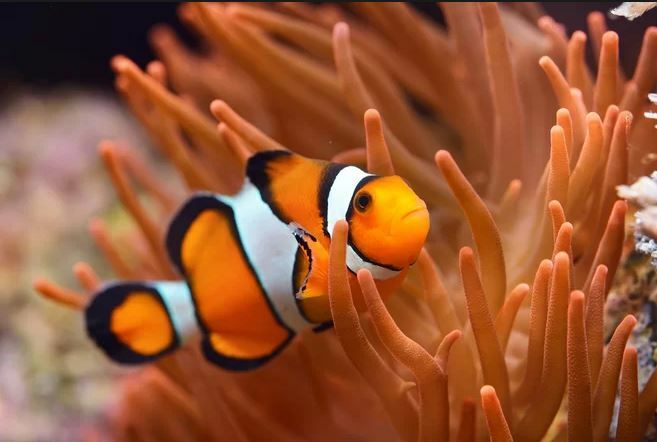 All of our saltwater clownfish and almost every other fish we sell across Canada are captive bredand tank raised. 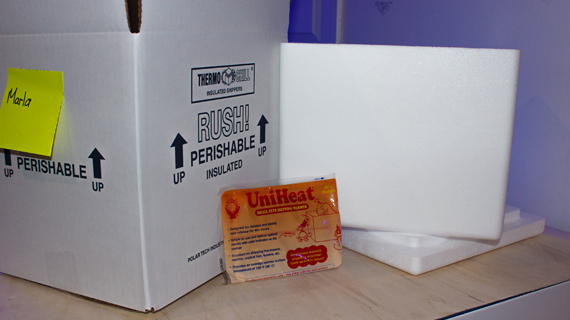 Super thick shipping cooler and heat packs make sure your corals always arrive happy ! 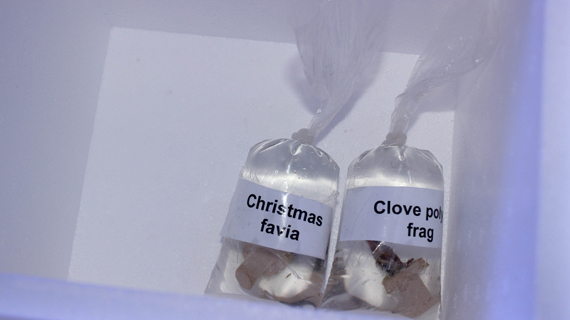 Unlike other online vendors, we hand label each and every coral we ship. This way there are no surprises and you will receive exactly what you ordered. We treat our customers the way we want to be treated. If you are ordering with friends or in a group buy, rest assured it will be easy to separate corals. We have had nearly 8 years to perfect our organization and shipping procedures. Fragbox was first started because of a poor experience. We ordered corals online twice with a company here in Ontario, Canada that is no longer in business due to poor reputation. The first order was bad and the second order that was supposed to make up for the first was horrendous. This godawful experience is what inspired us to open an online coral store. It was to give Canadians an alternative to the poor service being provided by the only coral supplier available online in Canada. This monopoly and poor service brought us here today. We set out to provide corals to Canadians with a simple goal; customer service. We strive to bring high quality corals and affordable prices, but above all our #1 goal always was and always is customer satisfaction. 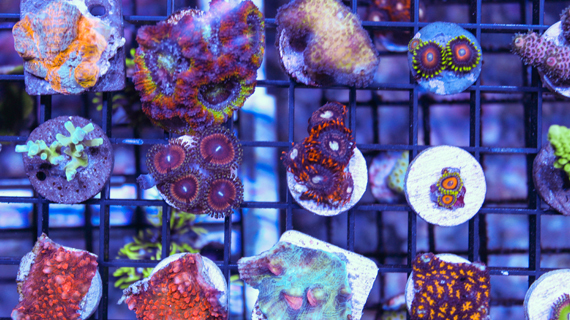 Fragbox corals has been at the forefront of wysiwyg for almost a decade. Shopping online can be hard. This is why the majority of your site wysiwyg – what you see is what you get. That means if you order that piece, you will receive that exact piece ! Not something similar, the exact one in the photo. We do our best to remove any guess work so you know exactly what you are getting. At fragbox corals we are just a phone call away. If you ever have a question or problem with your order or just want to chat about reef related topics,we would love to hear from you. We can be reached during normal business hours at 416-265-8481 and we respond to all of our emails within 1 business day. If you don’t see a response please check your junk mail as it often goes there. Shout out to Reefgrrl on youtube who has ordered with us nearly 20 times over the years! If it doesn’t make it, we will replace it.